NEW YORK (Feb. 4, 2011) — This month, the Knesset will make one of the most important votes in its history. After all, it’s not every day that a country has the opportunity to revolutionize life for its people. Of course, it’s not every day that a country discovers more than $300 billion in the ground. But after finding some of the largest natural-gas deposits in the world just off of its coast, that’s the situation in which Israel finds itself. The Tamar and Leviathan gas fields can change life for every Israeli. Currently, Israeli law requires that only 30 to 33 percent of the profits from selling natural resources goes to the state. But tax incentives often lower that amount. For example, 6.7-billion-NIS firm Delek Energy Systems, one of the primary companies primed to exploit Israel’s natural-gas fields in the Mediterranean, didn’t pay any taxes in 2009. Most countries in the world take larger percentages of profits from their natural resources than Israel does. The United States takes 41 to 49 percent; Brazil collects 57 to 62 percent; Russia takes about 70 percent; and Norway collects at least 75 percent. Worldwide, governments take an average of 53 percent. Today, Israel's rate is the second-lowest in the world — only Ireland’s is lower. But that’s going to change: In the next two years Israel’s percentage is scheduled to decline another one percent, becoming the smallest government take of any country in the world. Now that Israel has discovered enough natural gas to not just meet its own needs but to become an exporter, it’s time to rethink the percentages. Investors are salivating over the billions in potential profits. Noble Energy, Delek’s American partner with a 40 percent stake in the fields, is worth about $15 billion — and as chaos erupted in Egypt, its stock jumped by about $8 a share as investors speculated that a new Egyptian government would cut off Israel’s largest current source of natural gas, which would enable Noble to charge higher prices, making the offshore natural-gas fields all that much more valuable. A former Knesset minister, Melchior is leading the Israel Civic Action Forum, a grassroots Israeli organization dedicated to pressuring the government to mandate that 80 percent of natural-gas profits go to the state. Critics say that forcing companies to limit their profit margins to 20 percent will leave Israel without companies willing to develop the natural-gas fields. But Melchior dismisses those concerns as over-protective of industry. Melchior and the Israel Civic Action Forum want Israel’s natural-gas profits to fund a permanent endowment for the state. That fund, in turn, would support environmental protection, education, healthcare, public transportation and care for the elderly, among other issues that would improve the quality of life for Israelis. 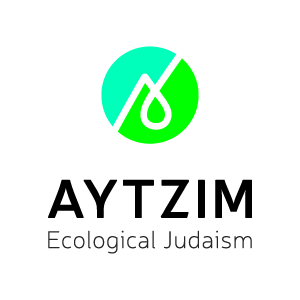 Thanks to the efforts of the Israel Civic Action Forum, the Israel Union for Environmental Defense (Adam Teva V'din) and other environmental organizations in Israel, the publicity surrounding the state’s percentage led the government to establish a committee to investigate the best course of action. Chaired by Eytan Sheshinski, a professor of public finance at the Hebrew University of Jerusalem, what became known as the Sheshinski Committee suggested raising the government take to 50 to 62 percent, a proposal endorsed by the Bank of Israel, the International Monetary Fund and the Organization for Economic Cooperation and Development. Israeli Prime Minister Benjamin Netanyahu said that the money should be used to fund security and public education. That’s not as far reaching as Melchior envisioned, but it’s certainly much better than the status quo. Last week the Israeli cabinet voted 21-5 to approve the Sheshinski Committee recommendations, with the five “no” votes all coming from the free-market, ultra-nationalist, Avigdor Lieberman-led party Yisrael Beiteinu, which blames the paradoxically named “socialist elite” for bringing the whole issue to the public’s attention. Predictably, Delek, Noble and other energy companies with stakes in the fields have lobbied strongly against any raising of the government take. Others are so bothered by the thought of the Israeli people getting a larger piece of the pie that they have threatened to kill Sheshinski. The important thing to keep in mind is that the natural gas doesn’t belong to the companies — it belongs to the Israeli people. And the question is whether or not Israel will seize the opportunity to ensure better lives for all of its citizens, or if it will let that opportunity pass by. The Knesset will decide sometime this month. The average amount of annual rainfall in Israel has dropped by more than 10% over the last 16 years.